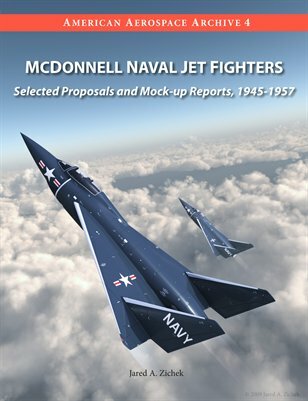 In this issue, we cover several little-known aspects of McDonnell naval fighter development in the early Cold War period. These include proposals for the McDonnell Model 40/40A; XF2H-2/-3/-4 Swept-Wing Banshee; Model 58 (which became the F3H Demon); Model 60 delta interceptor; and F3H-2 with upgraded radar. We also provide summaries of mock-up reports for the XF3H-1, F3H-1 (with 51 super-detailed photos), and F3H-1P Demon variants. Copiously illustrated with 97 images, including 2 specially created color artist's impressions of the sleek McDonnell Model 60 delta interceptor.